NEW ROADS, La. 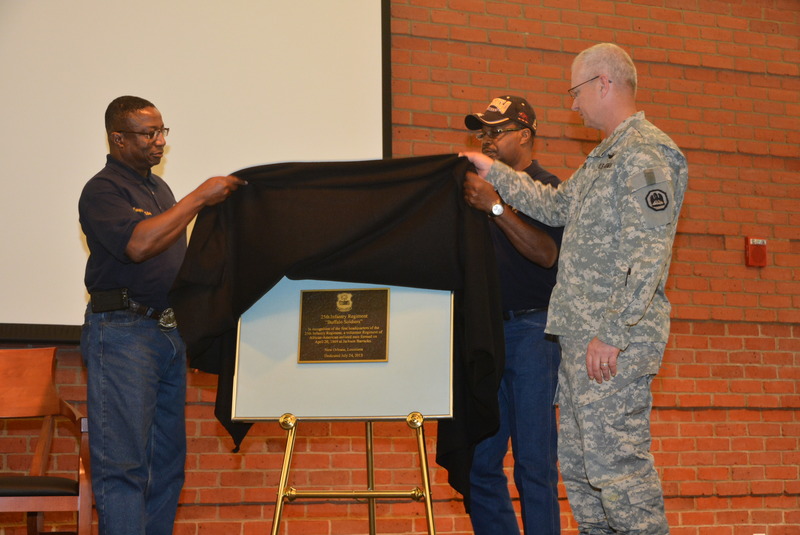 – The Louisiana National Guard’s A Company, 769th Brigade Engineer Battalion, 256th Infantry Brigade Combat Team, known as Iron Horse, unveiled a memorial dedicated to Sgt. Christopher Ramsey, Sgt. Michael Evans, Sgt. David Murray and Staff Sgt. Jonathan Reed at their armory in New Roads, May 6. The four Soldiers were among the 36 that paid the ultimate sacrifice during the 256th’s 2004-2005 deployment to Iraq. During the time of the deployment, the unit was designated as B Company, 1088th Engineer Battalion. 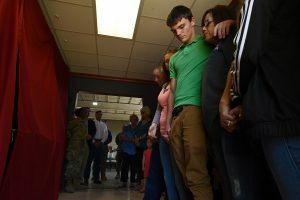 The New Roads Lion’s Club, Pointe Coupee Sheriff’s Department and Pointe Coupee community leaders raised all of the money to have the statue made and chose the armory as the place where the memorial would be displayed. 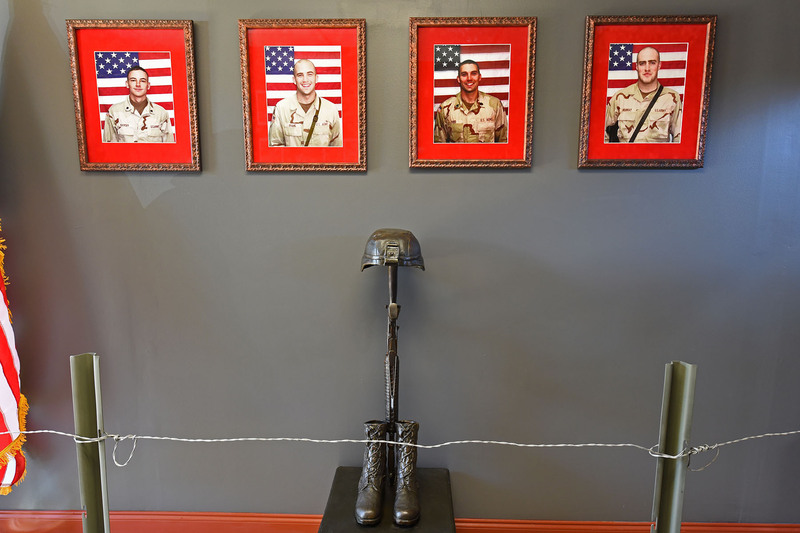 The 160-pound, roughly four-foot-tall bronze Soldier’s Cross statue stands in the entryway of the armory with photos of the four Guardsmen directly behind it. 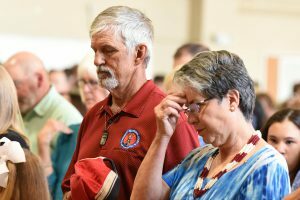 “This memorial would not have been possible had it not been for this community,” said Saint. Family and friends of the fallen were also present for the unveiling. When the red curtain covering the memorial was drawn back, family members shared tears and hugs with one another. 1st Lt. Michael Switzer, a Walker native, enlisted as an Iron Horse in 1997 and deployed with them in 2004 as a squad leader. Reed was his platoon sergeant then. 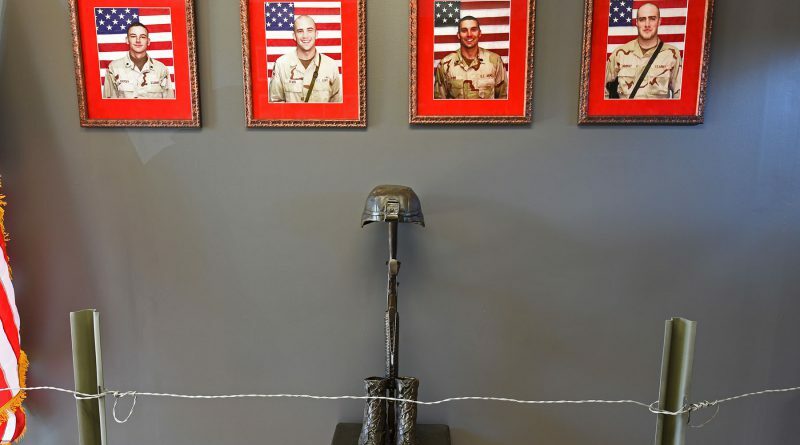 Now the company commander, Switzer said that since he took command, one of his main priorities was to see the dream of a memorial to his fallen battle buddies come to fruition. 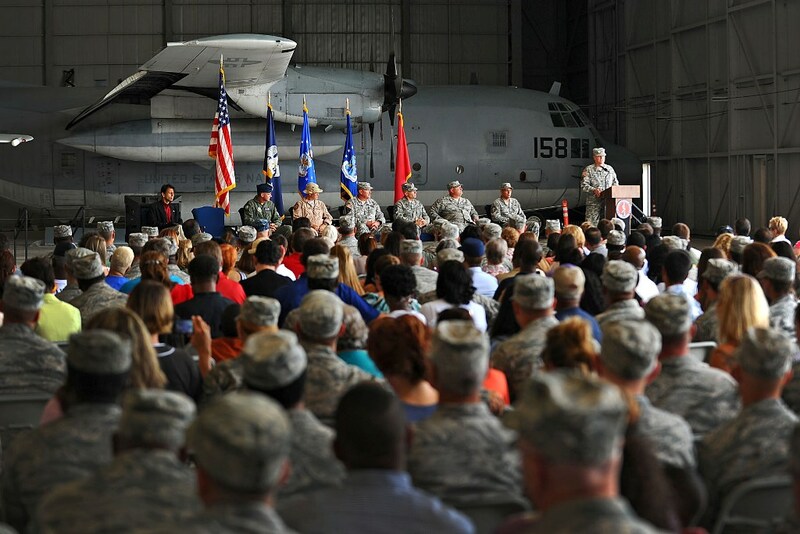 Aside from the year-long deployment, the unit also supported several stateside missions, including the recovery from Hurricanes Katrina and Rita, the Deepwater Horizon oil spill, and the August 2016 flooding.